Hello good afternoon to everyone. 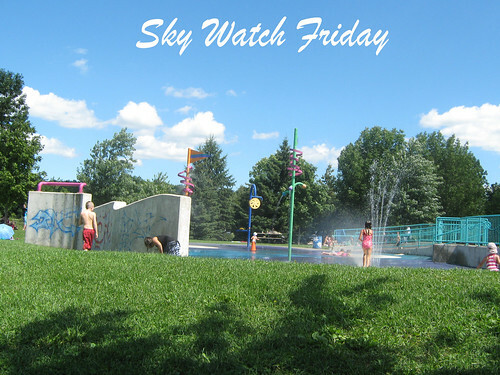 Here's my skywatch entry for today. A place for kids to play, take a bath while playing. My niece, my friend Lilia with her kid Sam and I were here last week. We had joy, we had fun with a perfect season in the sun. We brought different kinds of foods like cake, fried chicken, pizza, peanuts, fruits and biscuits. It looks like an absolutely wonderful summer day. Ohhhh... the joys of summer! Great shots, all were so clear and colorful! The top picture looks like lots of refreshing and cool fun! The other one is beautiful with clouds! I love the first picture with all the activity yet so colorful. Awesome clouds and sky on both photos. 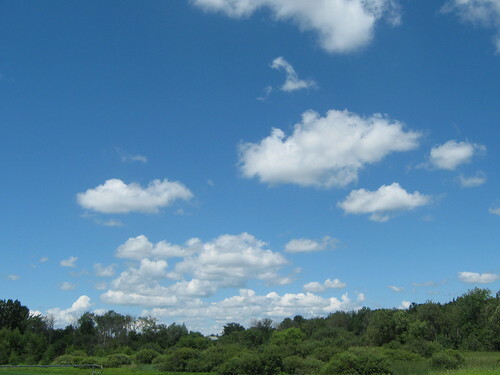 Such pretty white fluffy clouds against the bluest sky!